Washington is threatening Western New York’s economy. It can’t be allowed to happen. If it takes border agents from here to bolster the crushing need at the southern border, we will be in trouble. The problem’s roots are threefold, beginning with years of political intransigence but also including poor planning and events beyond the nation’s control. Together, they have produced a mess along the border with Mexico as would-be migrants overwhelm the U.S. Customs and Border Protection staff along that frontier. Throwing up its hands, the federal government reportedly wants to transfer at least 300 officers from the nation’s airports and northern border to bolster staffing along the southern border. Rep. Brian Higgins, D-Buffalo, is concerned that Washington will raid Western New York, causing severe border backups and hobbling the region’s economy. We’ve seen this before. It wasn’t that many years ago that understaffing along the border here created hours-long delays for drivers trying to enter the country from Fort Erie, Niagara Falls and Queenston. It was a disincentive for Canadians to cross the border and for Americans to cross into Canada, knowing the misery that awaited them on their return. It was bad for everyone. 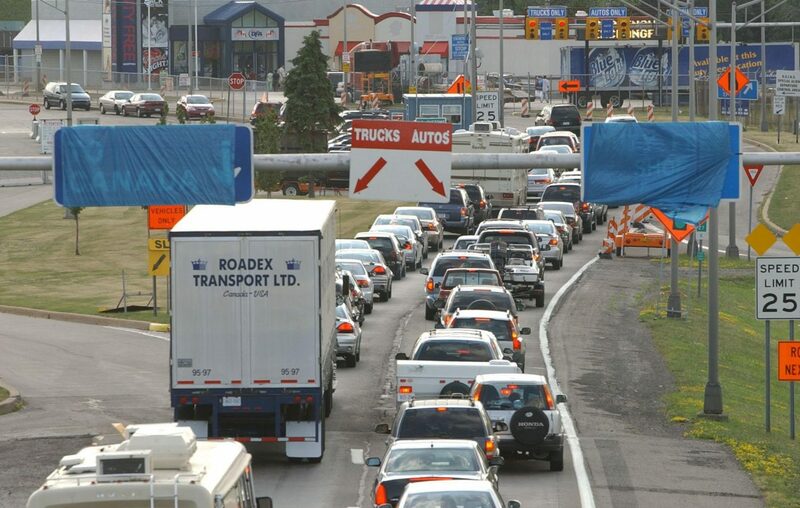 If anything, a return to that chaos would be even worse now, as the economic ties between Western New York and Southern Ontario have drawn the regions closer. Western New York, in particular, relies on Canadian business, which is already pressured by the unfavorable (for Canadians) exchange rate. The Buffalo Bills, Shea’s Performing Arts Center and the Buffalo Philharmonic Orchestra are among the high-profile organizations whose business models count on Canadian clients. So do the shopping malls, which are already suffering as the retail economy convulses. The summer tourist season is fast arriving. Niagara Falls, especially, will suffer if tourists on the Canadian side are discouraged from crossing the Rainbow Bridge into New York. But it’s not just Niagara Falls. Buffalo has become increasingly interesting to visitors. Youngstown, Lewiston and Lockport have their own attractions. There is a problem at the southern border, as thousands of migrants, desperate to escape intolerable conditions in their own countries, overwhelm the infrastructure there. It is, its own way, a ringing affirmation of this country’s continuing attraction to those who want a better life. But Washington needs to look for other solutions. Over the long term, that will require the federal government to do what it should have done years ago but never could manage: Update immigration law. Create a fair path for citizenship for illegal immigrants, especially those who were brought here as children by their parents. Had we done that 10 or 20 years ago, today’s border mess might have been easier to manage.